Dasha Fyah started DJing in 2001 with a local crew and right from the beginning she fell in love with collecting music on vinyl and creating new vibes by blending tunes and riddims together. 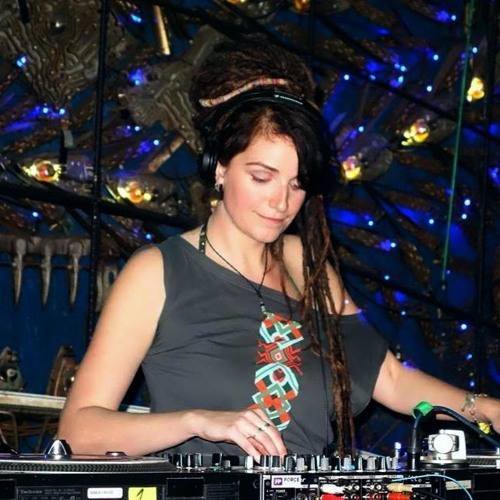 As part of life exploration in 2004 she moved to ever inspiring London, which has broughtmany opportunities and also the first visit of University of Dub at Brixton Rec - the point,which shifted Dasha´s musical taste from dancehall and new roots towards dubwise and roots music. In 2006 Dasha Fyah and LoicDeNiro (FR) aka ´Fyah Sound´ started a residency in Hootananny Brixton, which continued for another 10 years. During her London time, she also got a chance to play at Brixton Jamm, Telegraph, Vibe Bar, Cargo and many other places until 2011, when she returned to CZ. Back in CZ Dasha she started a couple of new residencies - at Palac Akropolis for - already at that time legendary - ”Sunday Dubwise “ (unfortunately discontinued in 2017) and also at magnificient Prague venue Cross Club, where you can find her once a month. On the top of that, she travels around the CZ and Eropre to spread the dub vibes. Outside the CZ borders you could have met her spinning tunes on some of the greatest European festivals - Rototom Sunsplash (SP), Ostroda (PL), One Love (UK), Rise&Shine (AT), Uprising (SK) or United Nations of Dub (UK). Dasha also participated as a guest DJ on two Polish tours of Imperial Sound Army (IT) and has returned to play in Poland a couple of times since. Throughout her musical journeyDasha Fyah has played longside many extraordinary musicians and inspirational characters, just to name some, Twinkle Brothers, Michael Prophet, Vibronics, Macka B, Earl Gateshead, Zion Train, Conscious Sounds, Mungo´s Hifi, Channel One, Jah Shaka and many more. Every Friday between 2014 -2016 we could tune in DubForce Radio for a weekly portion of collector´s choice from Dasha´s music shelves. You can listen to some of these sets here on her Soundcloud profile. When Dasha´s at the controls, you can be sure to hear a proper bass rumble, because besides dub she enjoys spinning roots music, dubstep, hip-hop, funk, world beats, jungle music and breaks... The musical message is important as much as the lyrical one, so you can hear Dasha playing strictly conscious vibes. All strictly on vinyl.